Asasyn is the ultimate next generation fatburner and muscle shredder supplement by Genius Nutrition®. This product uses the best super ingredients and synergy to support the fatburning process, maximaze muscle definition and help to transform your fat to energy. 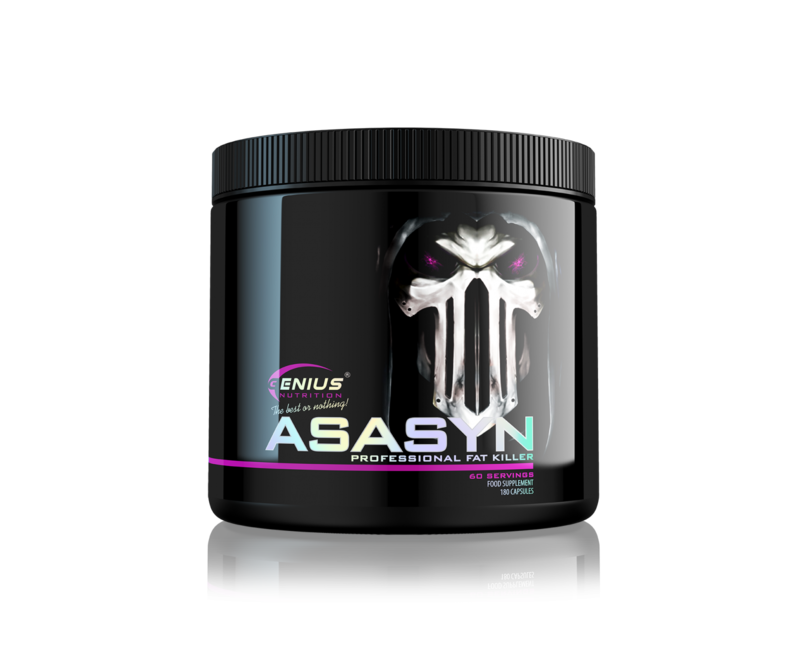 If you are in cutting stage and you need the best support on low calories diet the Asasyn is your perfect weapon. This amazing exotic fruit has received so much attention in recent years is because of its apparent effects on weight loss. The flesh of the fruit is not used for these purposes, but a number of studies have been done on the extract from wild mango extract. 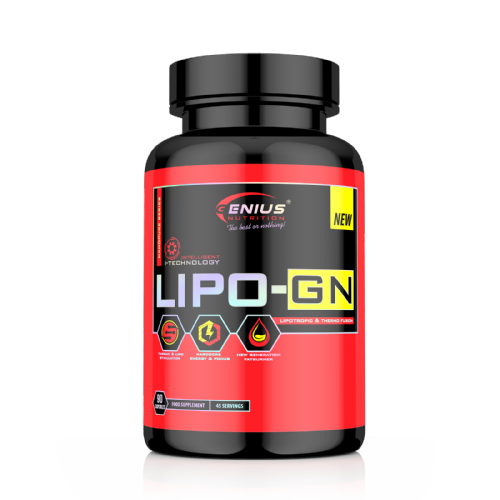 Research has found that not only can the active ingredients help to reduce overall cholesterol levels, but they can also stimulate the metabolism and significantly increase passive fat-burning. When this extract is used regularly, it has been known to cause weight loss. It is also known to suppress the appetite, which is another way to prevent overeating and create a calorie deficit. We are using highly concentrated extract of wild mango (mangifera indica – folium, pericarpium, in ratio 10:1), in our Asasyn fatburner to be sure our products will deliver real results. Increases your Metabolism - There are a number of fat-burning effects of olive leaf extract, primarily because it stimulates the release of adrenaline and other hormones. This can increase your overall metabolism and increase passive fat-burning. It also optimizes other bodily processes, like energy metabolism and enzyme production. This amino acid has been around for donkey’s years and its efficacy studied immensely during. The Acetyl component of this improves the ability to cross the blood brain barrier, improve dopamine and by improving dopamine – it improves other areas such as cognition, learning, attention, memory, desire, pleasure, punishment, reward, motivation, sleep, mood, behaviour, and voluntary movement. It also upregulates the oxidation of fatty acids for the purpose of burning fat and this is done via the Mitochondrial carnitine palmitoyltransferase 1 (CPT1) Pathway. 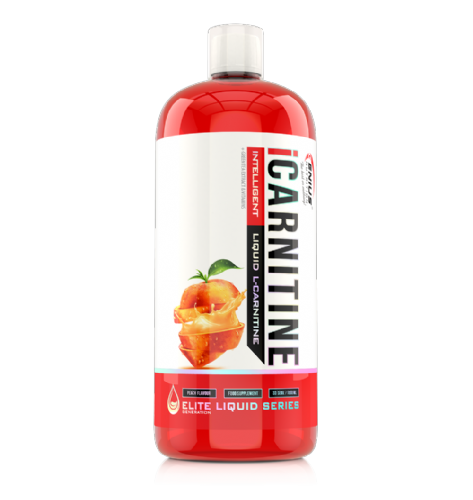 Consuming Acetyl L-Carnitine upregulates the rate limiting fat burning step meaning that you can burn more fat when you exercise.ALCAR and LC are naturally produced in the body and occur naturally in the diet. A major function of ALCAR is to transport fatty acids across the membrane of the mitochondria (the powerhouse of the cell). Acetyl L-Tyrosine is an acetylated derivative of the essential amino acid L-Tyrosine. Ordinary L-Tyrosine is less stable and insoluble in water, which may result in reduced bioavailability. N-acetyl-L-Tyrosine, which is converted in the body to L-Tyrosine, is 20 times as soluble in water as L-Tyrosine itself. For this reason, it serves as an efficient supplement for raising tyrosine levels in the body, since undissolved substances are not absorbed from the digestive tract. Acetylation enhances the solubility and stability making it a more rapidly absorbed and bioavailable form of the amino acid L-Tyrosine. How L Tyrosine Promotes Weight Loss? Magnesium is an important mineral that your body needs in order to function. It helps you do a variety of important things including produce energy, regulate blood sugar which may help to weight loss, and cause necessary chemical reactions in the body. Magnesium helps your body conduct nerve impulses, muscle contraction, and normal heart rhythm by playing a role in the transport of calcium and potassium. Is known to burn off fat specifically on the belly. It boosts your metabolism and eases digestion of carbohydrates to achieve the best fat-burning effectiveness. The best way to lose weight is to do it naturally. a powerful antioxidant that significantly reduces inflammation in the body to make you look better physically on the skin and mood thus aids anti-aging. Most people mistake skin problems with association with dirt; it's caused by the inflammation of the body. Caffeine can increase the release of fatty acids acids to be burned. The caffeine stimulates the breakdown of adipose tissue via a process called lipolysis. And once the fatty acids are freed from their storage form, they can be used for energy. In other words, this fat can be burned. How does caffeine stimulate lipolysis? It increases levels of energetic hormones like epinephrine and norepinephrine in your blood. These hormones, in turn, cause fatty acids to be released. Okay, so now you know that caffeine stimulates lipolysis. And we know that lipolysis causes fatty acids to be released into the blood. Now what? Well, the fatty acids must be burned for energy. And the process of burning for energy is called metabolism. Depending on your diet, lifestyle, and genes, your metabolism can burn energy at a higher or lower rate. What’s one compound that stimulates our metabolism to burn more energy? You guessed it again: caffeine. This process of metabolic burn has a fancy scientific name: thermogenesis. Caffeine increases thermogenesis. In other words, it tells your body to burn more calories. The word “electrolyte” is a term used to describe certain micronutrients and minerals that break down into positively or negatively charged ions. These ions generate electricity in your body and are necessary for your body to maintain a proper fluid balance, transmit nerve impulses, and contract your muscles. The minerals that make up electrolytes are sodium, chloride, phosphate, potassium, calcium and magnesium. We use the natural extract from the world’s the best coconut water brand: CocoMineral to provide the best natural sourse of electrolytes. Cayenne pepper is a potent weight loss aid that can help curb your appetite, heat up your metabolism, and even help burn extra fat. L-theanine has been growing in popularity since its discovery as one of the main components of green tea (Camilla sinensis). Indeed, L-theanine is the main ingredient responsible for the feeling of calm focus frequently associated with tea consumption. Theanine has also been purported to stabilize blood pressure, boost immune function during exercise, and possibly even promote weight loss. You need time to follow a weight loss process, and you need to maintain regular workouts besides having healthy foods. If you always feel tired or stress, you are easy to give up and have no efforts. Giving stress and tired away will help you a lot to maintain a long-term plan to lose weight healthily and effectively, and of course you can get the best result. L- Theanine helps to increase dopamine level in the brain, thus helps to increase concentration and improve memory, and remove distractions. The advantage of L- Theanine combines with caffeine helping to take stress away, stimulate creation and enhance concentration. Choline naturally promotes a faster rate of lipolysis meaning that you burn more fat than you would at your typical metabolic rate. It does this by promoting the transportation of dietary fats throughout the body to your cells so they are promptly burned for energy. This is believed to help prevent future weight gain while also contributing to steady and reliable weight loss results. One way Piperine increases nutrient absorption is by increasing your metabolism by improving thermogenesis. This process essentially breaks down your fat cells and increases your internal temperature. That means Piperine may be used to help people regulate their weight. While the overall effect of this ability is slight, when combined with a more comprehensive weight loss plan, it may have a noticeable impact. 7. Reinbach H., Smeets A., Martinussen T., Møller P., Westerterp-Plantenga M. "Effects of capsaicin, green tea and CH-19 sweet pepper on appetite and energy intake in humans in negative and positive energy balance." Clin Nutr. (2009): 260-265. 8. Ludy M., Mattes R. "The effects of hedonically acceptable red pepper doses on thermogenesis and appetite." Physiol Behav. (2011): 251-258. 9. Yoshioka M., St-pierre S., Drapeau V., et al. "Effects of red pepper on appetite and energy intake." Br J Nutr. (1999): 115-123. 10. Yoshioka M., Doucet E., Drapeau V., Dionne I., Tremblay A. "Combined effects of red pepper and caffeine consumption on 24 h energy balance in subjects given free access to foods." Br J Nutr. (2001): 203-211. 11. Janssens P.L., Hursel R., Westerterp-plantenga MS. "Capsaicin increases sensation of fullness in energy balance, and decreases desire to eat after dinner in negative energy balance." Appetite. (2014): 44-49. 12. Yoshioka M., St-pierre S., Suzuki M., Tremblay A. "Effects of red pepper added to high-fat and high-carbohydrate meals on energy metabolism and substrate utilization in Japanese women." Br J Nutr. (1998): 503-510. 13. Chaiyata P., Puttadechakum S., Komindr S. "Effect of chili pepper (Capsicum frutescens) ingestion on plasma glucose response and metabolic rate in Thai women." J Med Assoc Thai. (2003): 854-860. 14. Shen W., Shen M., Zhao X., et al. "Anti-obesity Effect of Capsaicin in Mice Fed with High-Fat Diet Is Associated with an Increase in Population of the Gut Bacterium Akkermansia muciniphila." Front Microbiol. (2017): 272. 15. Kang C., Wang B., Kaliannan K., et al. "Gut Microbiota Mediates the Protective Effects of Dietary Capsaicin against Chronic Low-Grade Inflammation and Associated Obesity Induced by High-Fat Diet." MBio. (2017): 8. 16. "Spices, pepper, red or cayenne." United States Department of Agriculture Agricultural Research Service. Web. 18. Reinbach H., Smeets A., Martinussen T., Møller P., Westerterp-Plantenga M. "Effects of capsaicin, green tea and CH-19 sweet pepper on appetite and energy intake in humans in negative and positive energy balance." Clin Nutr. (2009): 260-265. 19. Ludy M., Mattes R. "The effects of hedonically acceptable red pepper doses on thermogenesis and appetite." Physiol Behav. (2011): 251-258. 20. Yoshioka M., St-pierre S., Drapeau V., et al. "Effects of red pepper on appetite and energy intake." Br J Nutr. (1999): 115-123. 21. Yoshioka M., Doucet E., Drapeau V., Dionne I., Tremblay A. "Combined effects of red pepper and caffeine consumption on 24 h energy balance in subjects given free access to foods." Br J Nutr. (2001): 203-211. 22. Janssens P.L., Hursel R., Westerterp-plantenga MS. "Capsaicin increases sensation of fullness in energy balance, and decreases desire to eat after dinner in negative energy balance." Appetite. (2014): 44-49. 23. Yoshioka M., St-pierre S., Suzuki M., Tremblay A. "Effects of red pepper added to high-fat and high-carbohydrate meals on energy metabolism and substrate utilization in Japanese women." Br J Nutr. (1998): 503-510. 24. Chaiyata P., Puttadechakum S., Komindr S. "Effect of chili pepper (Capsicum frutescens) ingestion on plasma glucose response and metabolic rate in Thai women." J Med Assoc Thai. (2003): 854-860. 25. Shen W., Shen M., Zhao X., et al. "Anti-obesity Effect of Capsaicin in Mice Fed with High-Fat Diet Is Associated with an Increase in Population of the Gut Bacterium Akkermansia muciniphila." Front Microbiol. (2017): 272. 26. Kang C., Wang B., Kaliannan K., et al. "Gut Microbiota Mediates the Protective Effects of Dietary Capsaicin against Chronic Low-Grade Inflammation and Associated Obesity Induced by High-Fat Diet." MBio. (2017): 8. 27. Cooper R. Green tea and theanine: health benefits. Int J Food Sci Nutr. 2012 Mar;63 Suppl 1:90-7. RECMD. DAILY DOSE: 3 CAPSULES WITH A LARGE GLASS OF WATER. PLEASE NOTICE: DIETARY SUPPLEMENTS DO NOT REPLACE FOOD. RECMD. DOSE SHOULD NOT BE EXCEEDED. NOT TO BE TAKEN BY PREGNANT OR DURING BREASTFEEDING OR PEOPLE ON MEDICATION. KEEP OUT OF REACH OF CHILDREN. 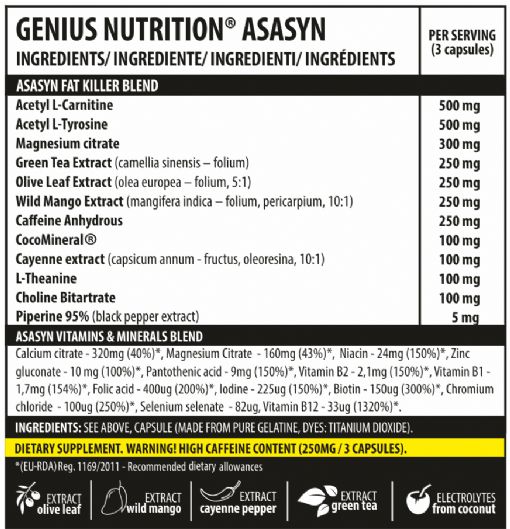 ASASYN IS ONLY INTENDED TO BE USED BY HEALTHY ADULTS 18 YEARS OF AGE OR OLDER. WARNING! DO NOT COMBINE WITH ALCOHOL! DISCONTINUE USE AND CONSULT YOUR HEALTH CARE PROFESSIONAL IF YOU EXPERIENCE ANY ADVERSE REACTION TO THIS PRODUCT. DO NOT CONSUME WITH CAFFEINE, ALCOHOL OR OTHER STIMULANTS. DRINK AT LEAST TWO LITERS OF WATER DAILY. BEST BEFORE: SEE STAMP. MANUFACTURED ON EQUIPMENT WHICH PROCESSES PRODUCTS CONTAINING MILK, EGG AND SOY. GENIUS NUTRITION LTD HAVE LICENCE AGREEMENT OF USING ORIGINAL COCOMINERAL®, REGISTERED TRADEMARK OF CAMBRIDGE COMMODITIES LTD, UNITED KINGDOM.